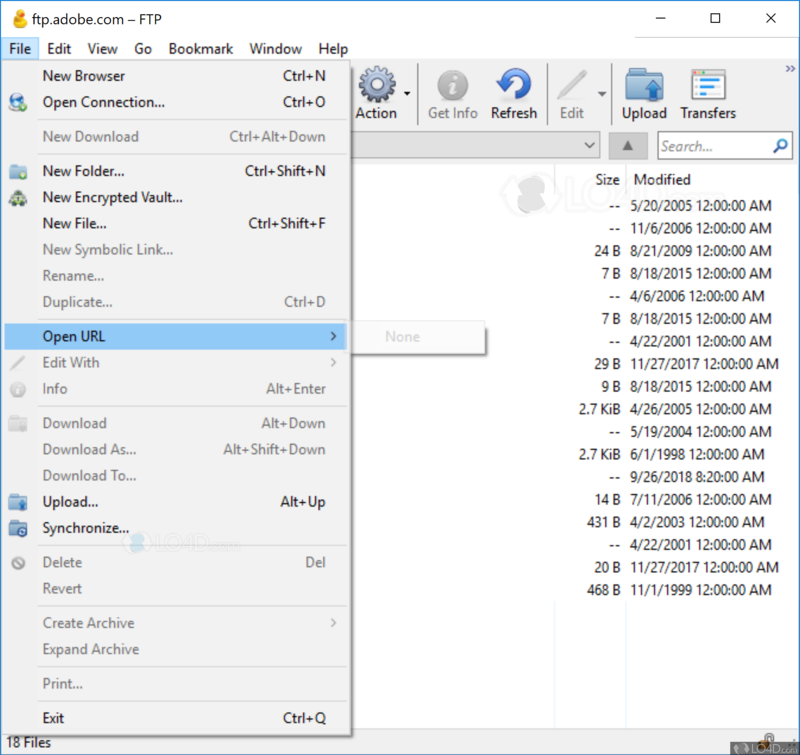 Cyberduck is a free and open source FTP client app filed under ftp clients and made available by David V for Windows. The review for Cyberduck has not been completed yet, but it was tested by an editor here on a PC and a list of features has been compiled; see below. If you would like to submit a review of this software download, we welcome your input and encourage you to submit us something! 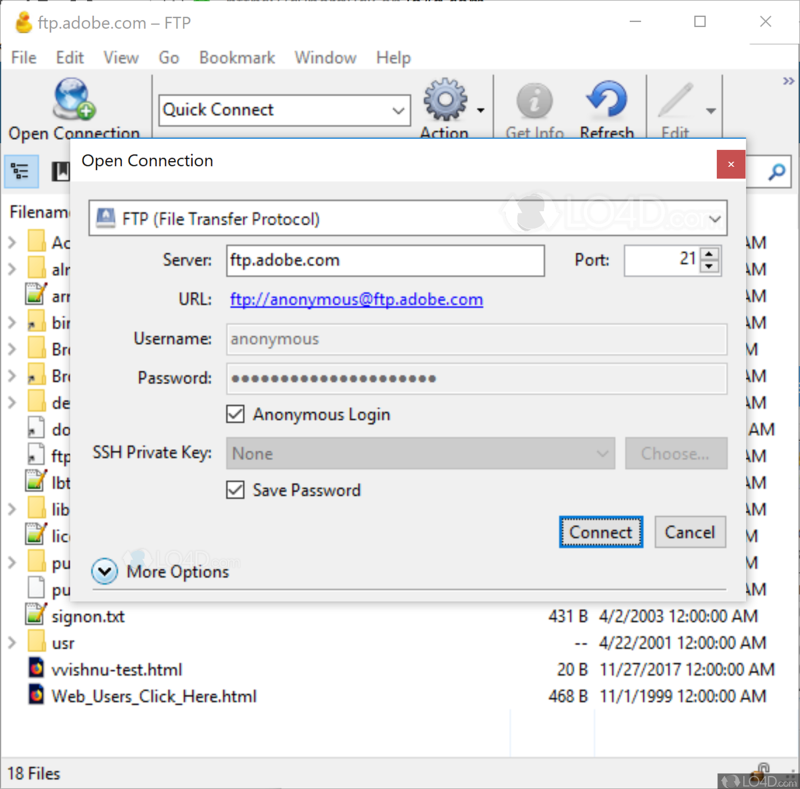 Cyberduck is a easy-to-use application that enables you to connect with remote hosts and easily download and upload multiple files. 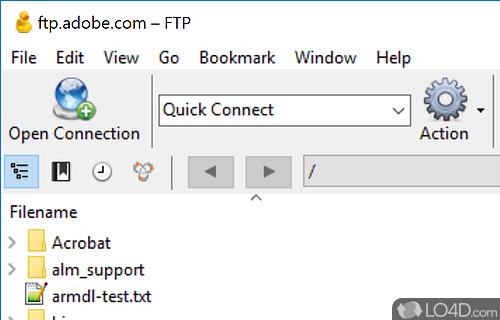 Cyberduck is an open source FTP, SFTP, WebDAV, Cloud Files and Amazon S3 browser. It features an easy to use interface with quickly accessible bookmarks. The outline view of the browser allows to browse large folder structures efficiently and you can quickly preview files with Quick Look. To edit files, a seamless integration with several external editors makes it easy to change content quickly. Cyberduck is software which can synchronize with the cloud. 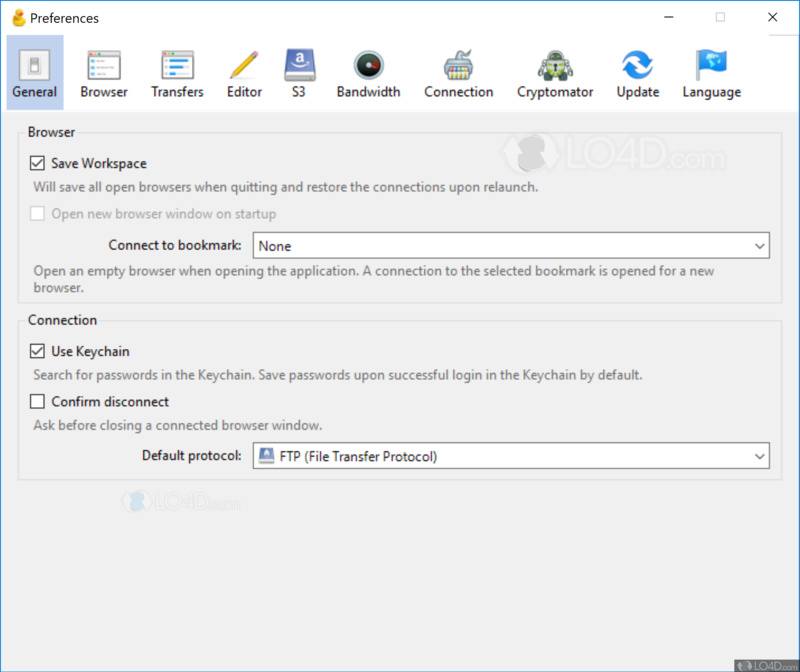 Cyberduck is licensed as freeware for the Windows (32-bit and 64-bit) operating system / platform from ftp clients without restrictions. Cyberduck 6.9.4.30164 is available to all software users as a free download (Freeware). 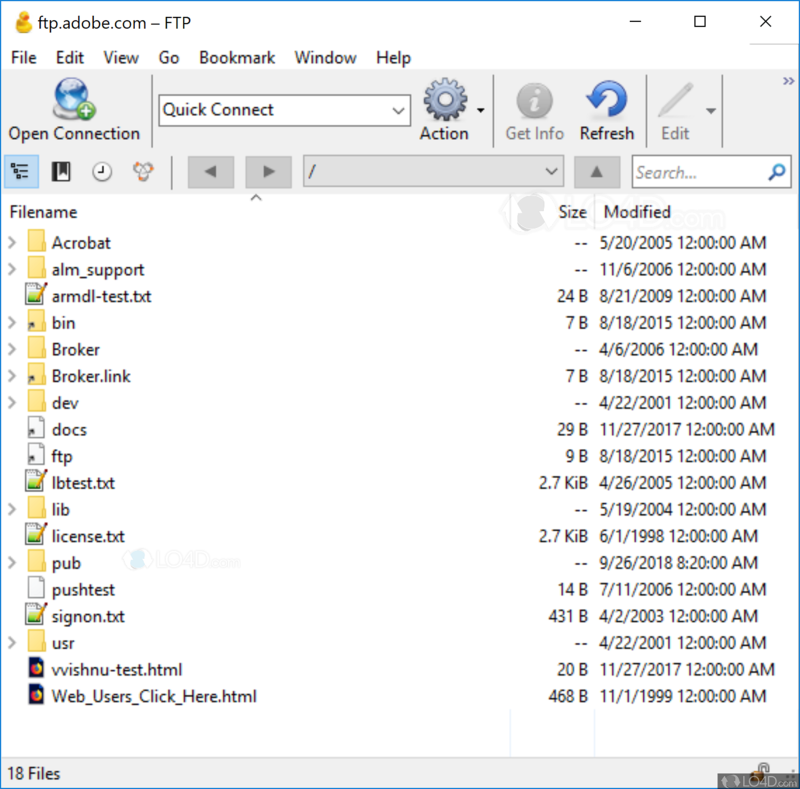 Compatibility with this FTP client software may vary, but will generally run fine under Microsoft Windows 10, 8, 8.1, 7, Vista and XP on either a 32-bit or 64-bit setup. A separate x64 version may be available from David V. This download was signed by iterate GmbH and distributed as Cyberduck-Installer-6.9.4.30164.exe. We have tested Cyberduck 6.9.4.30164 against malware with several different programs. We certify that this program is clean of viruses, malware and trojans. 3.1 out of 5 based on 8 ratings.